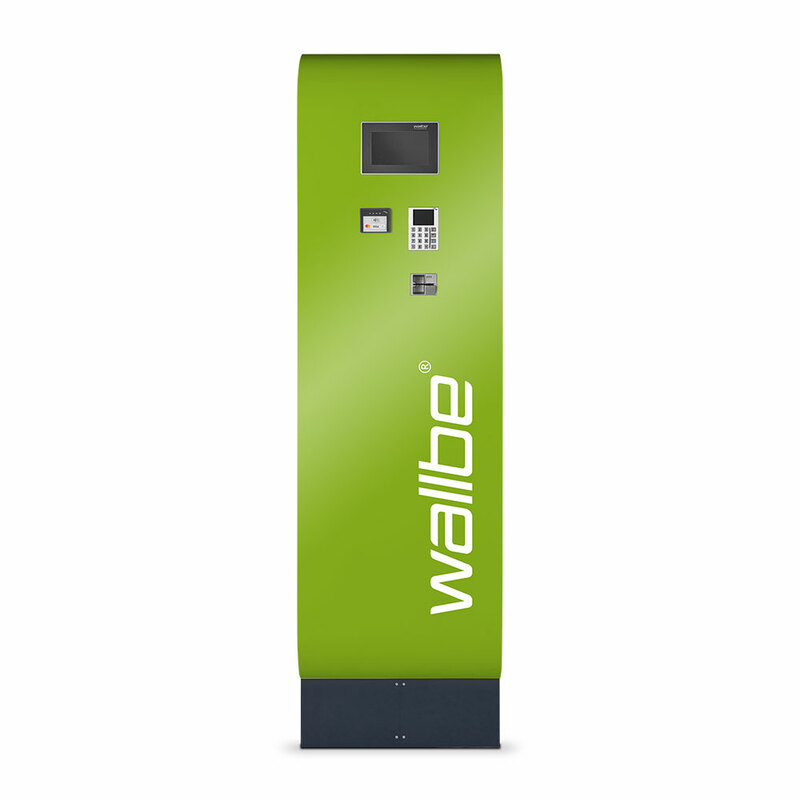 wallbe® MAX is a smart charging station, which conforms to legal metrology requirements and enables precise billing of the current drawn. 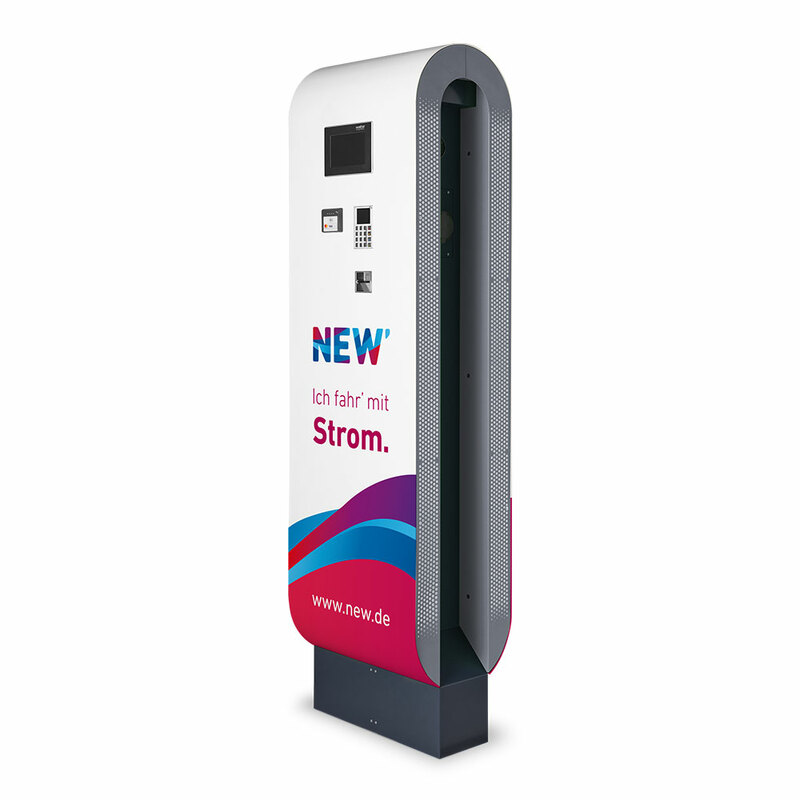 This makes charging as transparent and simple as refuelling a fossil vehicle. 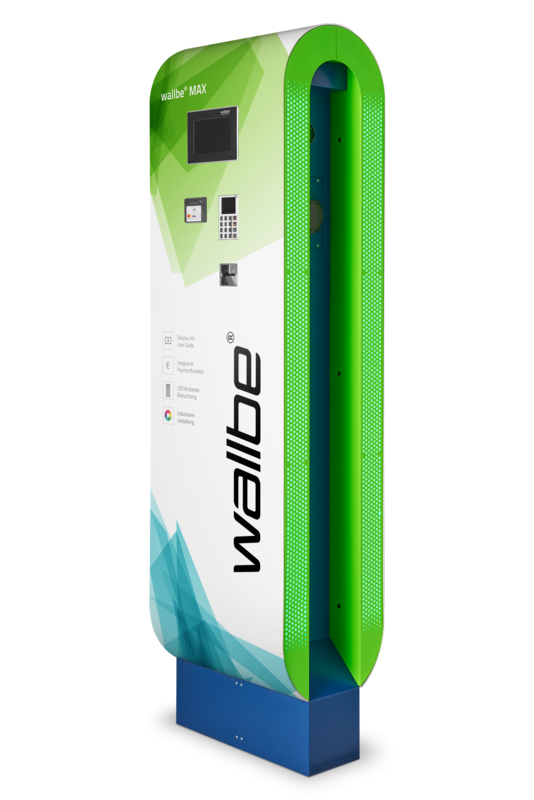 In addition to two charging points, the wallbe® MAX charging station comprises a complete system for load and user management as well as the integration of payment systems or renewable energy sources. 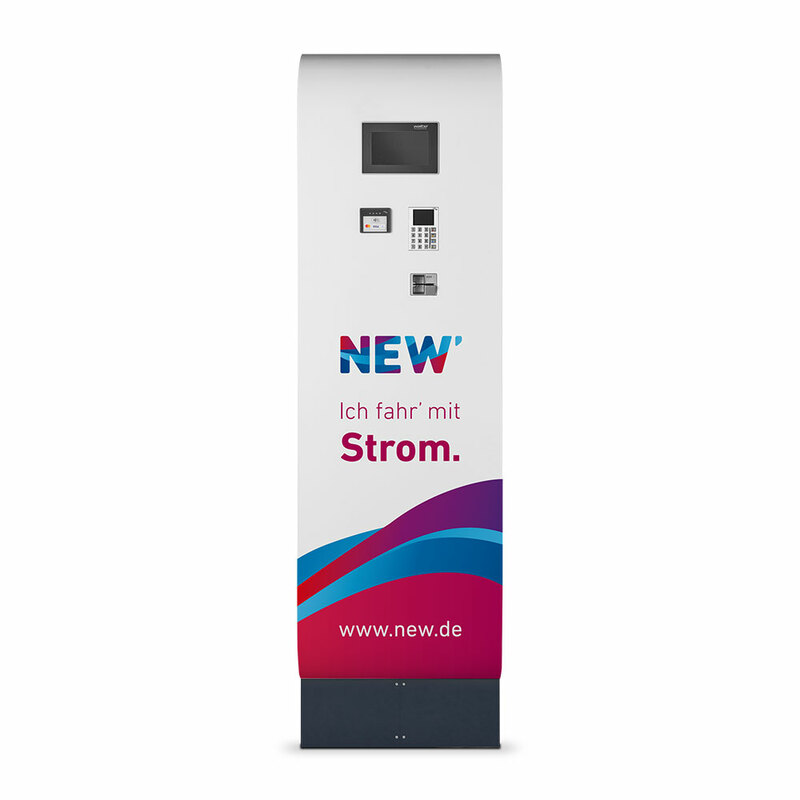 Here, users can pay for the charging process simply and barrier-free using debit/credit cards or mobile phones (NFC) in compliance with calibration law. The IT interface supports OCPP versions 1.5 and 1.6, enabling integration into modern back-end and billing systems without any problems. 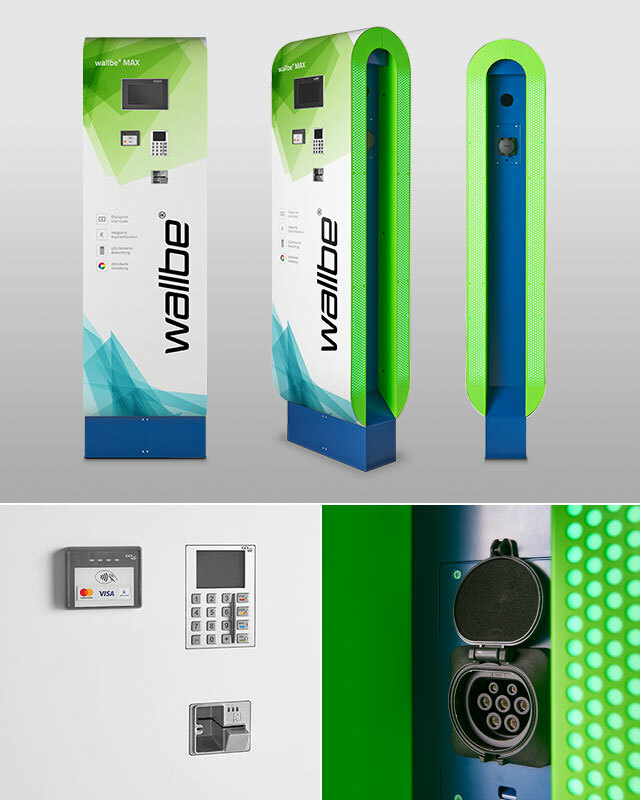 In the semi-public and public sector, wallbe® MAX offers a versatile and extremely future-proof overall solution using the most modern charging technology. Display with user guide for intuitive operation and easy loading. Integrated payment function with contactless payment options by debit and credit card via NFC. LED ambient lighting ensures good visibility and clear user guidance even in low daylight. Individual design thanks to RAL, metallic and effect varnishing or 4c digital printing. 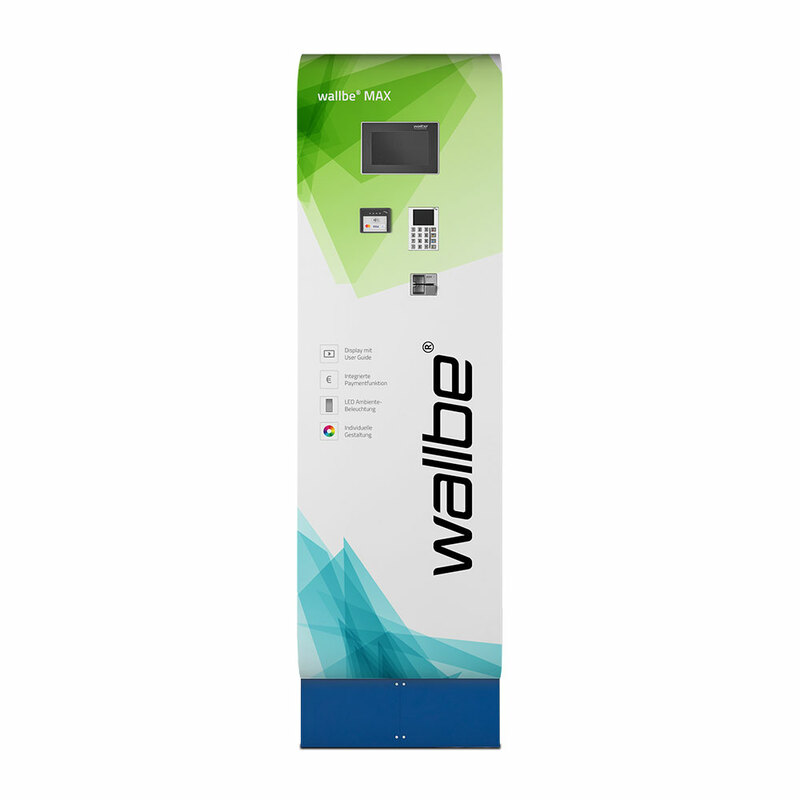 Our wallbe® MAX, which conforms to legal standards, is a real game changer. It enables precise, transparent billing of the current. 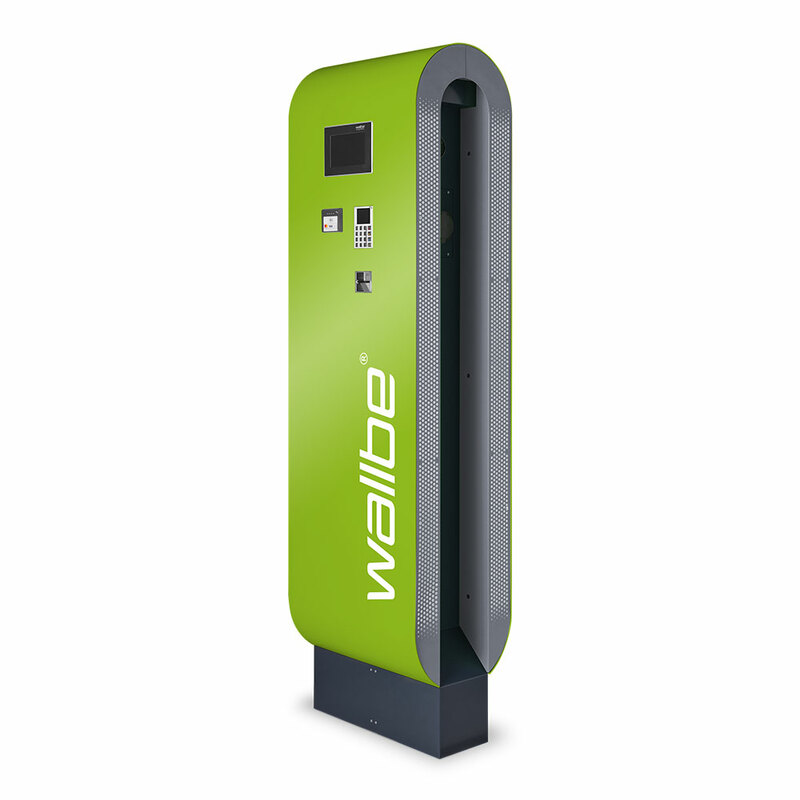 This is the future of charging! 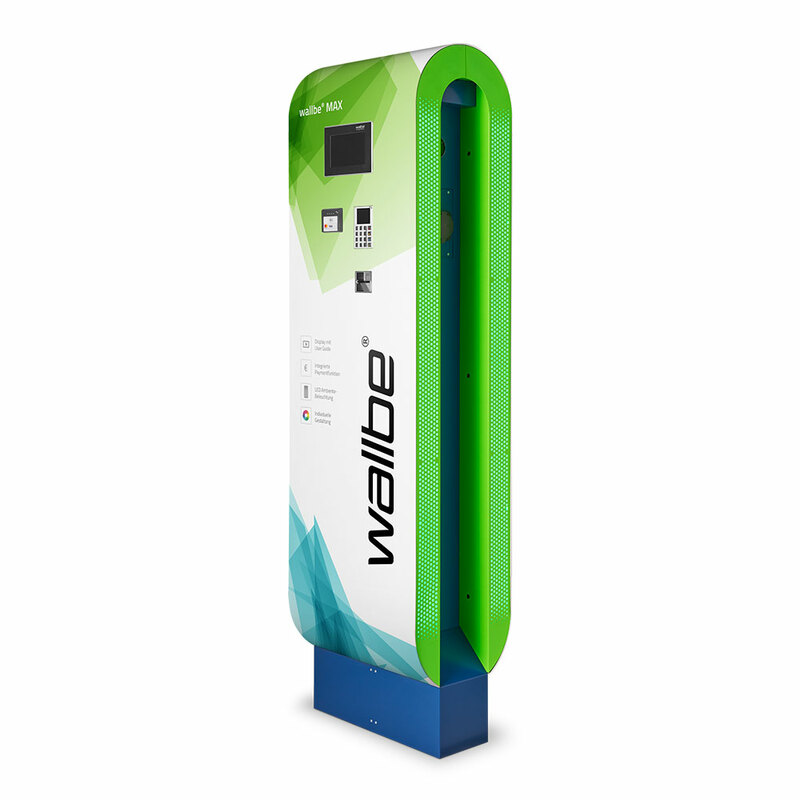 The entire user guidance is very simple and guarantees an uncomplicated charging process. Contactless, uncomplicated payment options simplify handling and billing. Charging and authorization are intuitive and particularly convenient. The guarantee for a precise, transparent accounting of the electricity. We attach great importance to the best materials and the highest standards of quality and first-class technology.